Lapis Lazuli is a hidden gem that has a unique deep blue stone with flecks of golden pyrite, only found in the Andes Mountains of Chile and northeast Afghanistan. 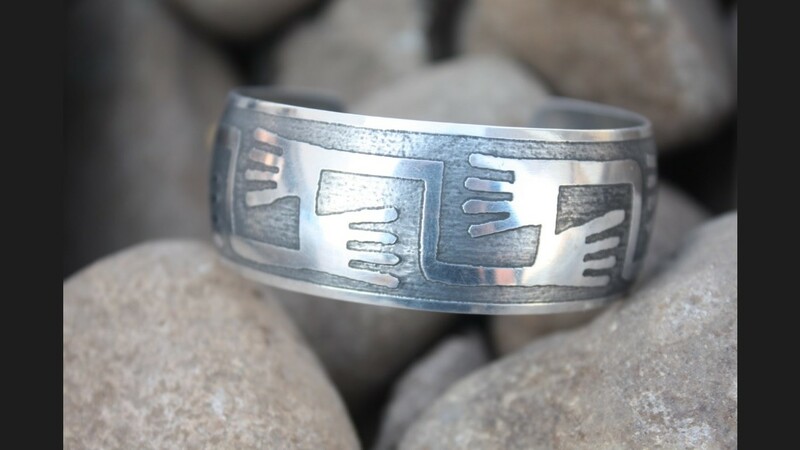 The band comes in two different widths and has an open back that allows easy access to slip on and off and adjusts to fit your wrist appropriately. 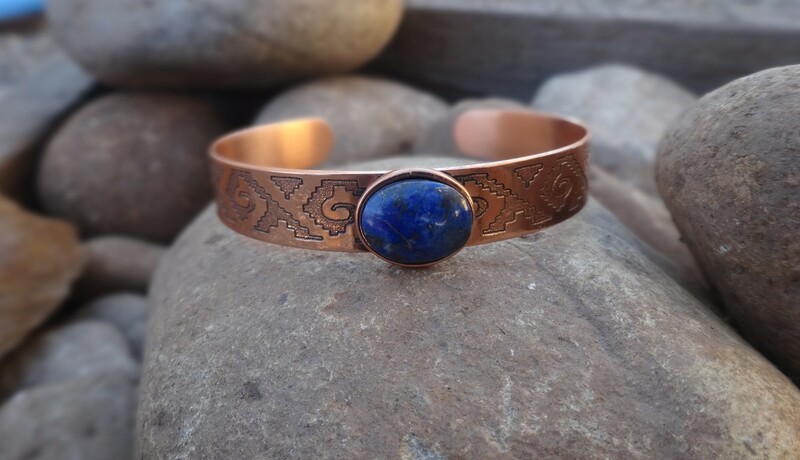 Note: All jewelry produced is handmade and unique. 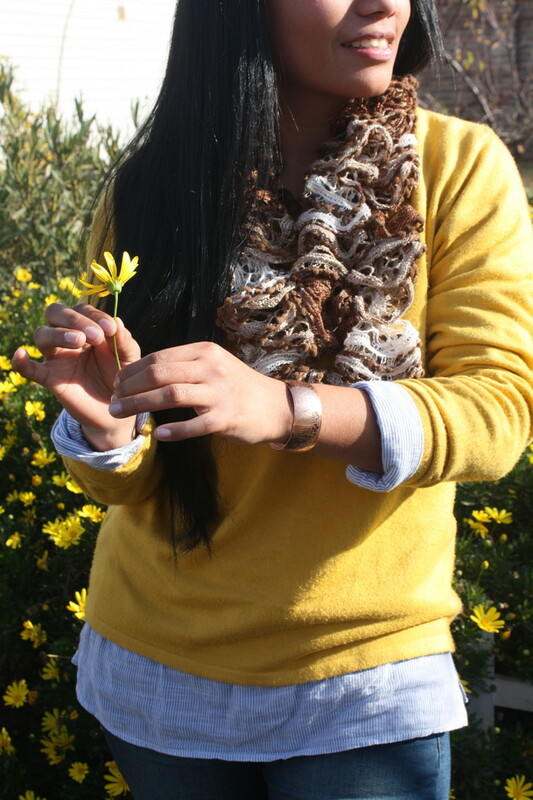 The piece you receive may vary slightly from the pictures shown on the website. 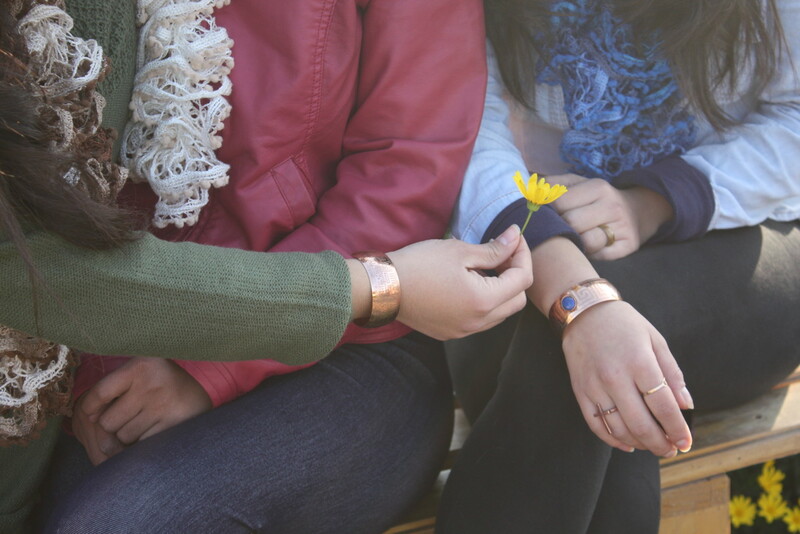 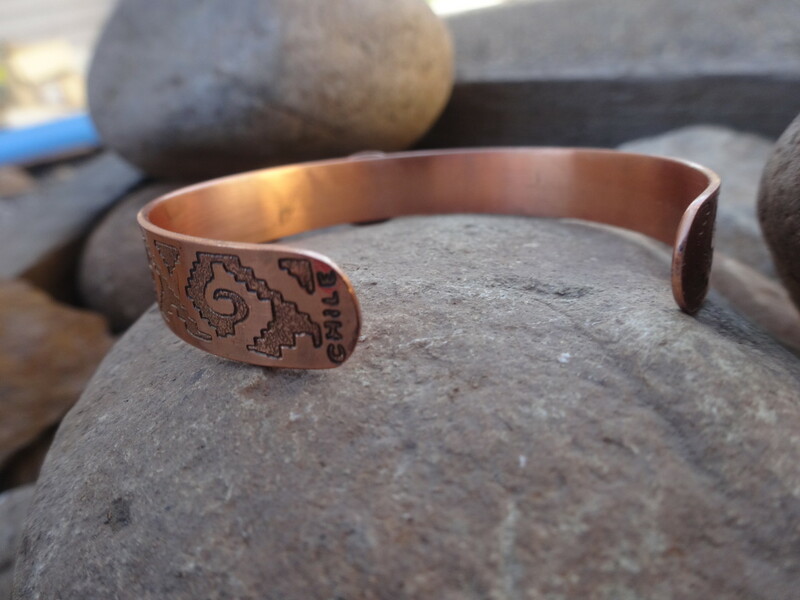 The bands for each bracelet vary slightly in design. 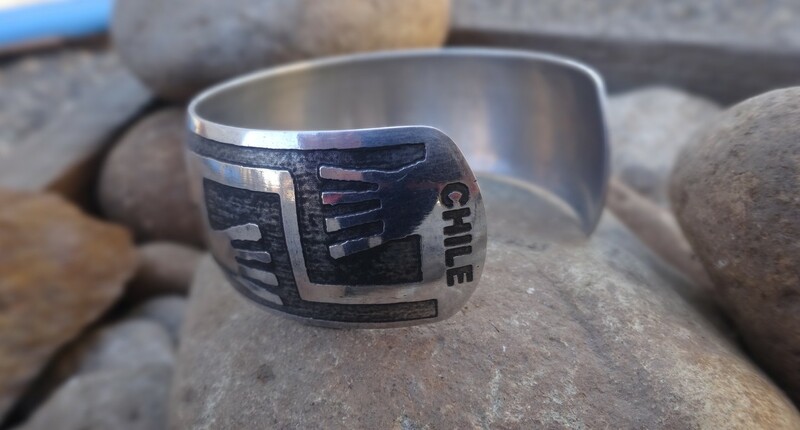 Las medidas de banda de aproximadamente 3/4 pulgada de ancho y el diseño pueden variar ligeramente de la imagen. 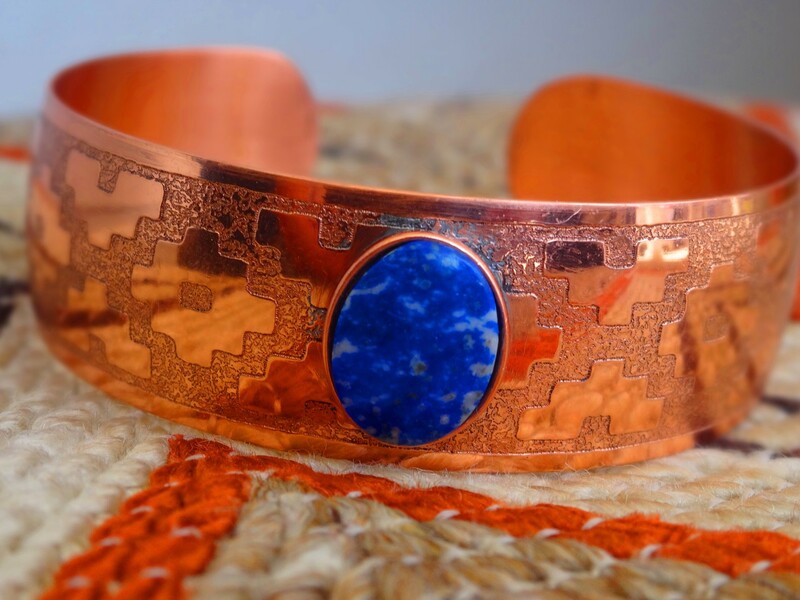 Hecho de cobre con la piedra tradicional chilena lapislázuli. 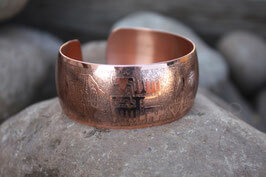 The band measures approximately 1/4 inch in width and the design may vary slightly from the picture. 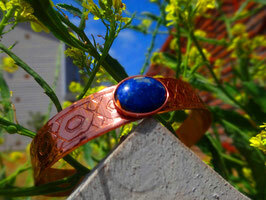 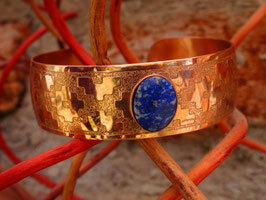 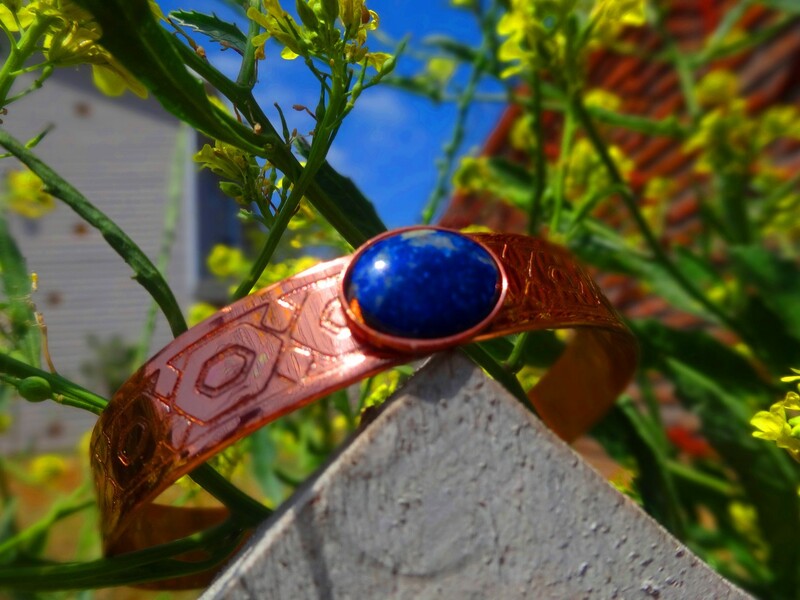 Made of copper with the traditional Chilean Lapis Lazuli stone. 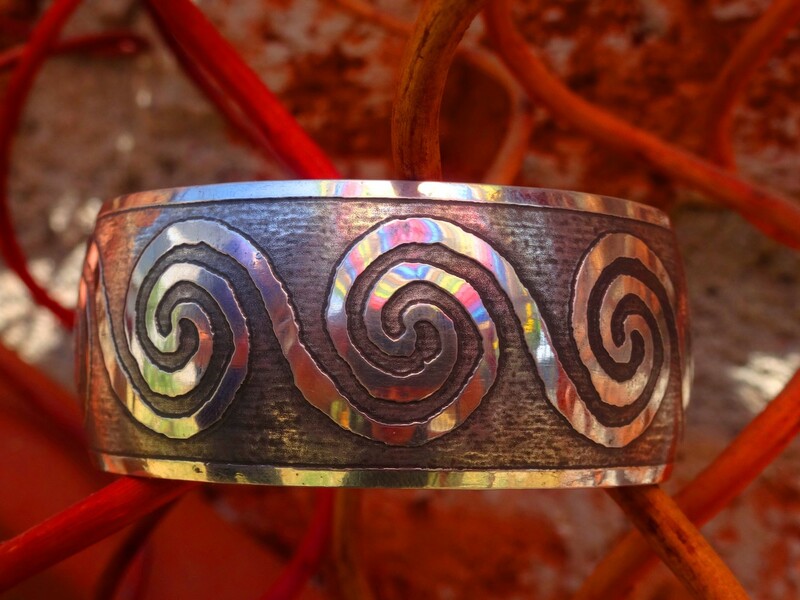 Light weight and the band measures approximately 1 inch in width and the design may vary slightly from the picture as all bands are made differently. 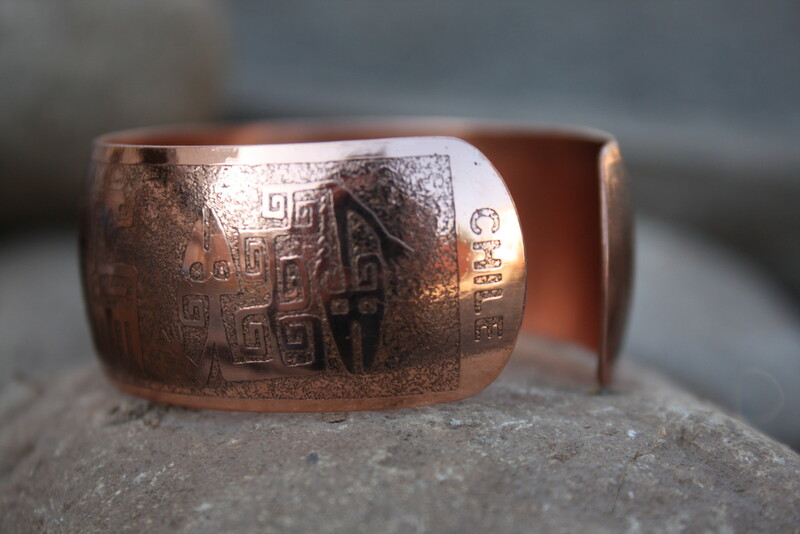 Light weight and the band measures approximately 1inch in width and the design may vary slightly from the picture as all bands are made differently.